This weeks #SundaySupper theme is Hamburgers & Hot Dogs so after some careful deliberation with Colt we settled on Whiskey Burgers. 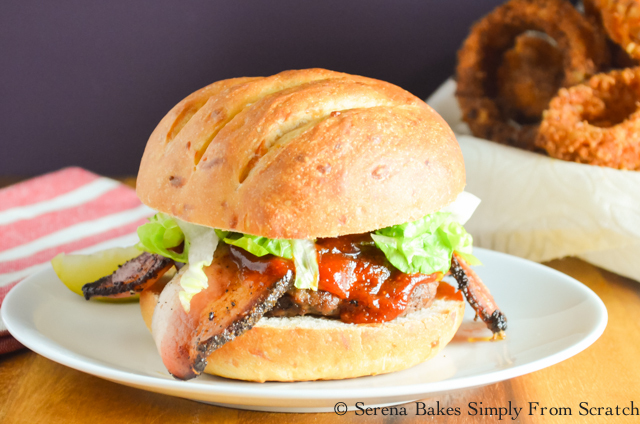 It's a simple burger patty, covered with your favorite cheese, bacon, and a whiskey barbecue sauce! Of course by dinner time after I had made Cheddar Cheese Hamburger Buns for the Whiskey Burgers we ended up with a thunder storm so Colt fried the burgers in the cast iron skillet. It was a much safer route then turning Colt into a human lightening bolt! However, I will attest Whiskey Burgers are by far a household year around favorite burger whether we grill them or fry them on the stove. Let's just say I'm a huge fan! In a large bowl mix together 2 pounds Ground Sirloin, 2 tablespoons Worcestershire Sauce, 1 teaspoon Granulated Garlic, 1 teaspoon Smoked Paprika, 1/2 teaspoon Salt, and 1/2 teaspoon Ground Pepper, until well combined. Divide Hamburger into 6 equal sized balls. We like to use parchment paper for easy clean up. 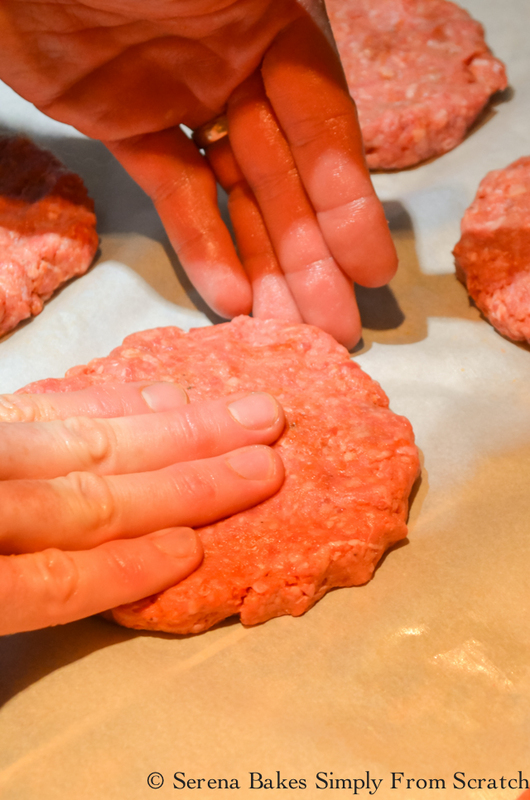 Gently pat meat into patties. 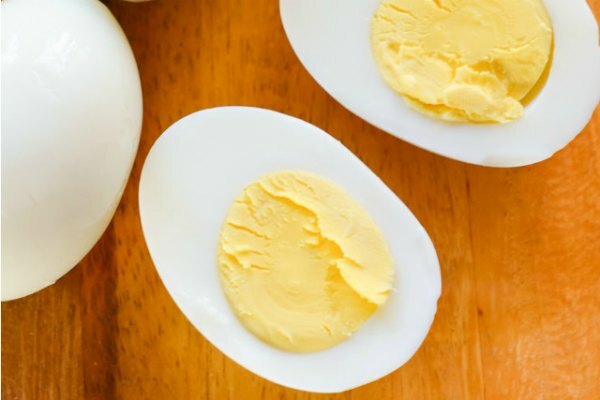 Grill or fry in a hot skillet with 1 tablespoon Cooking Oil until desired doneness. 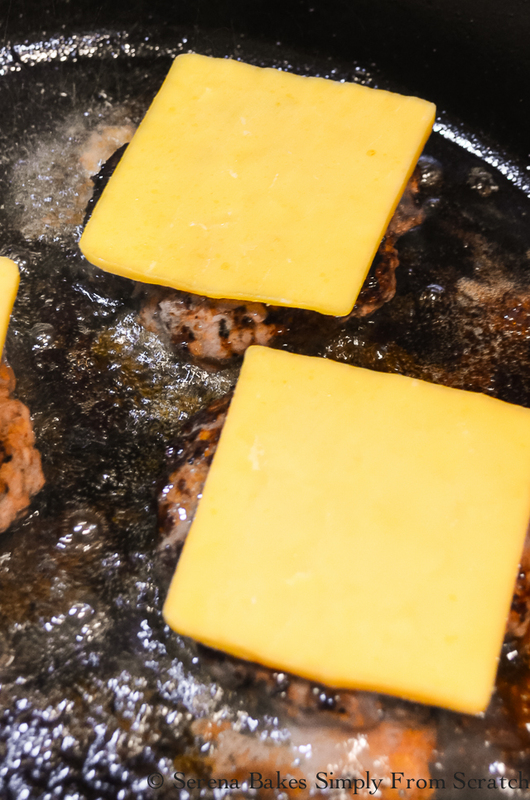 Once burger are done add a thick slice of your favorite cheese, we use Cheddar. 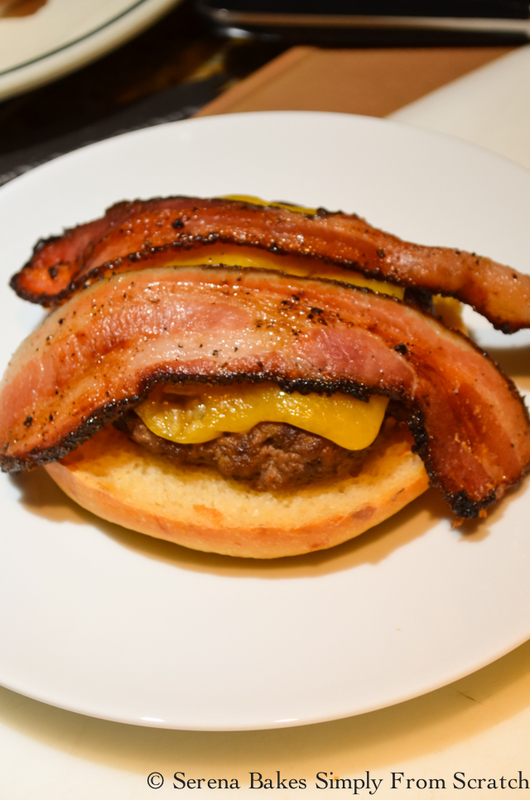 Place burgers in a warm 170 degree oven, to melt cheese if cooking on stovetop while cooking bacon, and making sauce. 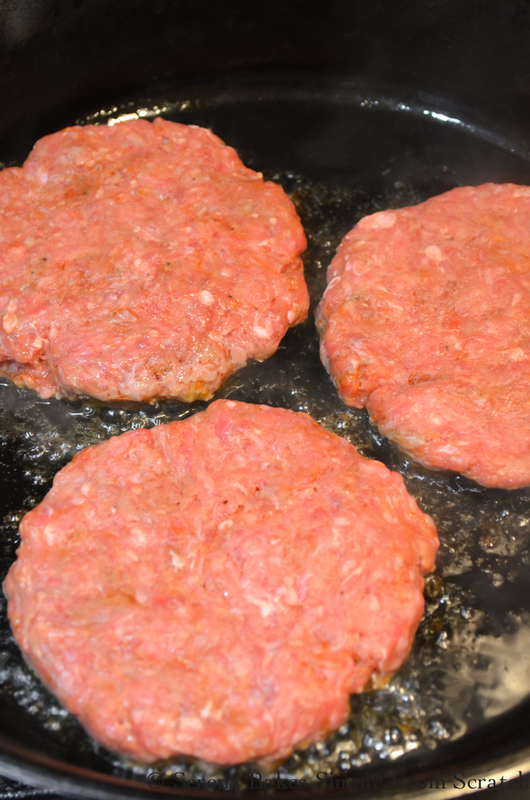 If you fried the Whiskey Burgers drain off excess grease, and then fry 12 slices of Bacon until crispy. Drain bacon on paper towels. 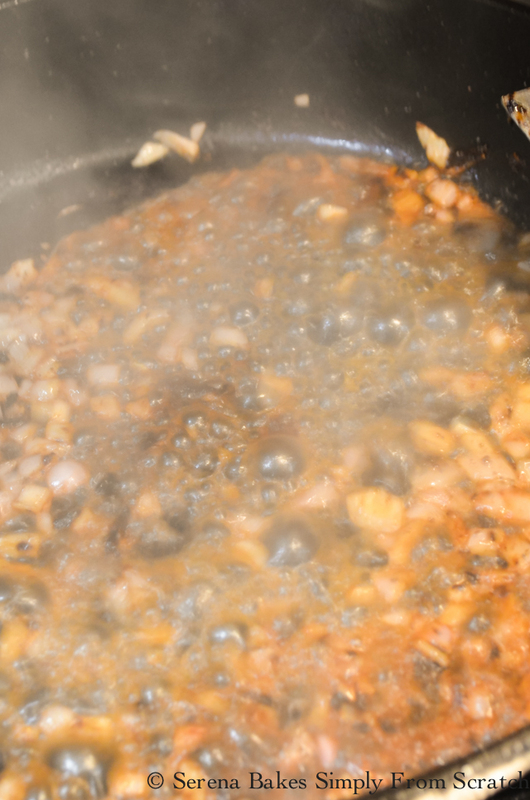 Drain grease out of pan, add 1 large Minced Shallot, and cook until shallot starts to caramelize over medium heat. Pour in 1/4 cup Whiskey, and scrape all the flavor bits off the bottom of pan. Simmer until alcohol cooks off, about 1-2 minutes. Add 1 cup Ketchup, 2 tablespoons Apple Cider Vinegar, 1/4 cup Brown Sugar, 1 teaspoon Smoked Paprika, 1/2 teaspoon Salt, 1/2 teaspoon Granulated Garlic, 1/2 teaspoon Pepper. Whisk until well combined, and bring to a simmer. Remove from heat. One of the important parts to building a burger is the bun, so I used Cheddar Cheese Hamburger Buns, or whatever your favorite bun is will do! 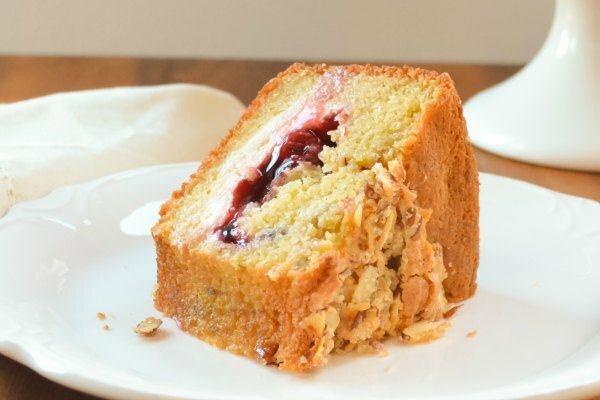 If your using homemade buns slice in half using a bread knife. Add your Hamburger Patty and 2 Strips of Bacon. 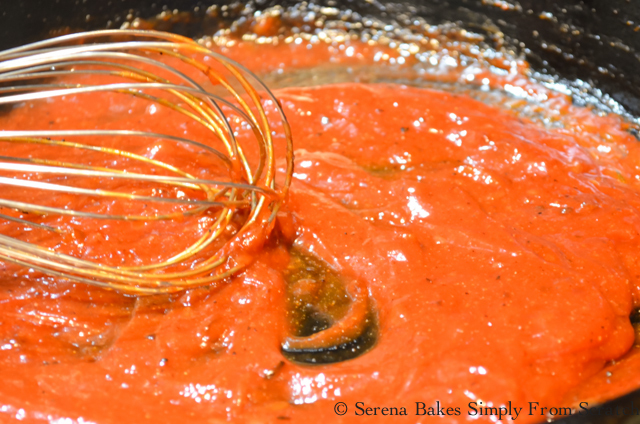 Slather your Whiskey Barbecue Sauce over the top.. Lord have Mercy that is some saucy deliciousness! 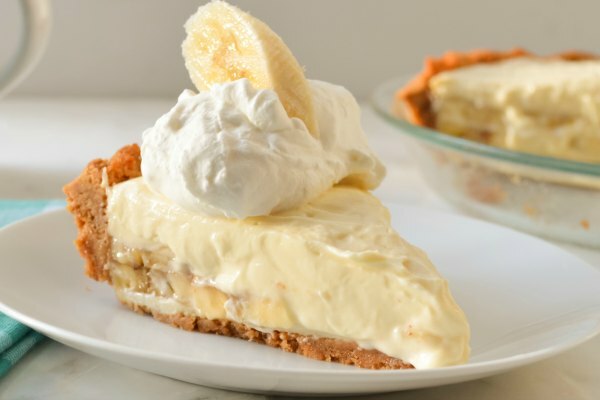 Pile on whatever other favorite toppings you like! We kept it simple this time with tomatoes, lettuce, and a pickle on the side, but sautéed Onions, pickles, sautéed mushrooms, pickled jalapeños, mayo, and mustard are all fun additional choices for a barbecue. These are a favorite in our house! The Barbecue Whiskey Sauce puts these little bundles of joy over the top! 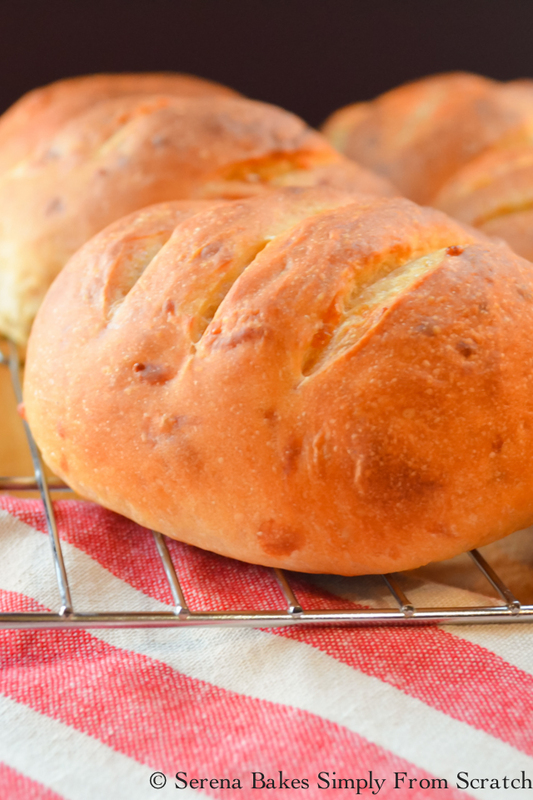 Thanks to Christie from A Kitchen Hoor's Adventures for hosting this weeks #SundaySupper! 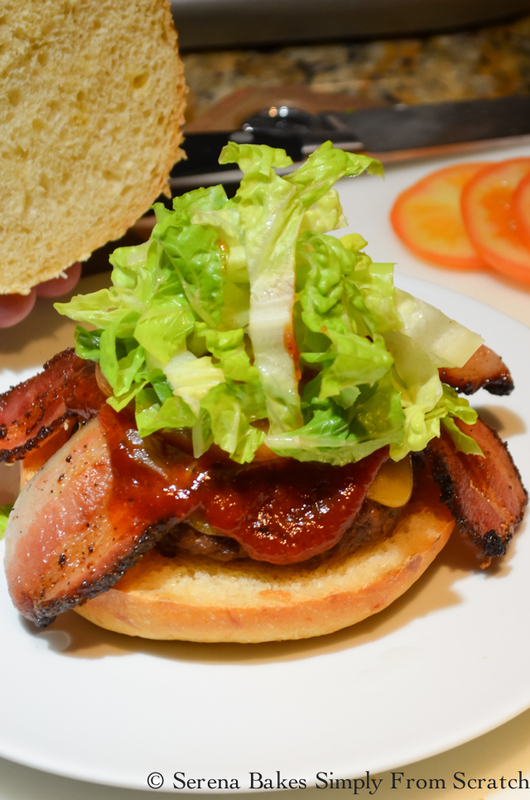 Make sure to check out all the other delicious Burgers and Dogs below the recipe! 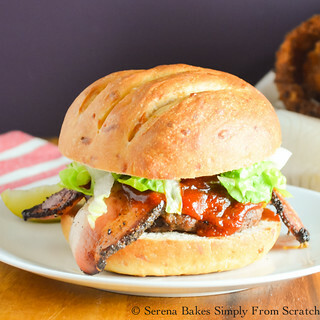 The ultimate recipe for a Whiskey Burger with Bacon and Smokey Whiskey Barbecue Sauce from Serena Bakes Simply From Scratch. Hamburger Buns, tomatoes, lettuce, pickles, mayo, mustard, and any other desired condiments. In a large bowl combine ground beef, worcestershire sauce, 1 teaspoon granulated garlic, 1 teaspoon smoked paprika, 1/2 teaspoon salt, and pepper. Use hands to mix until well combined. Line a cookie sheet with parchment paper. 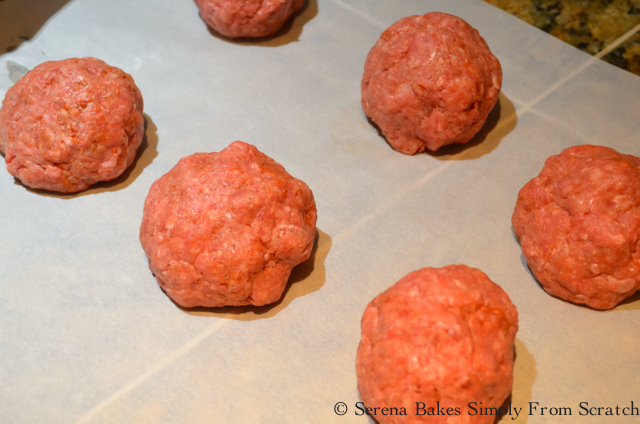 Divide ground beef into 6 equal size balls pat into patties just slightly larger then hamburger buns on parchment paper. Heat barbecue or a heavy duty skillet over medium-high heat. Grease grill or skillet with oil. 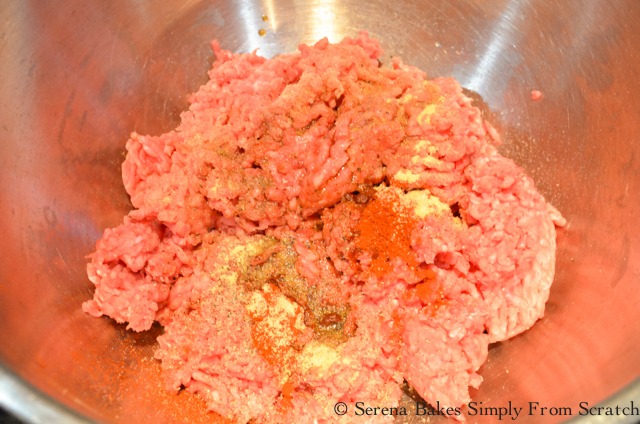 Add hamburger patties and cook to desired doneness. When hamburgers are done add cheese. If cooking inside place burgers in a 170 degree oven while cooking bacon and making whiskey sauce. 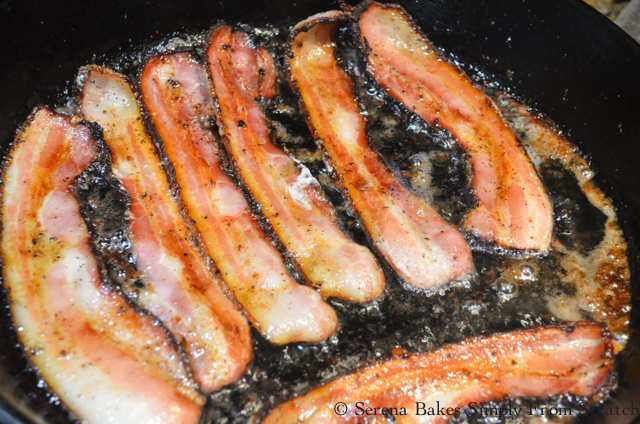 If burgers were fried inside drain grease out of the pan, if not just add bacon to hot pan, and cook until crispy. Drain bacon grease leaving the brown bits on bottom of pan. Add shallot to bacon grease, and cook until shallot starts to caramelize. Add whiskey, and scrape brown bits off of bottom of pan. Cook until alcohol evaporates, about 1 minute. Stir in ketchup, apple cider vinegar, brown sugar, 1 teaspoon smoked paprika, 1/2 teaspoon salt, 1/2 teaspoon granulated garlic, and 1/2 teaspoon pepper. Stir until well combined, and bring to a simmer. Remove from heat. 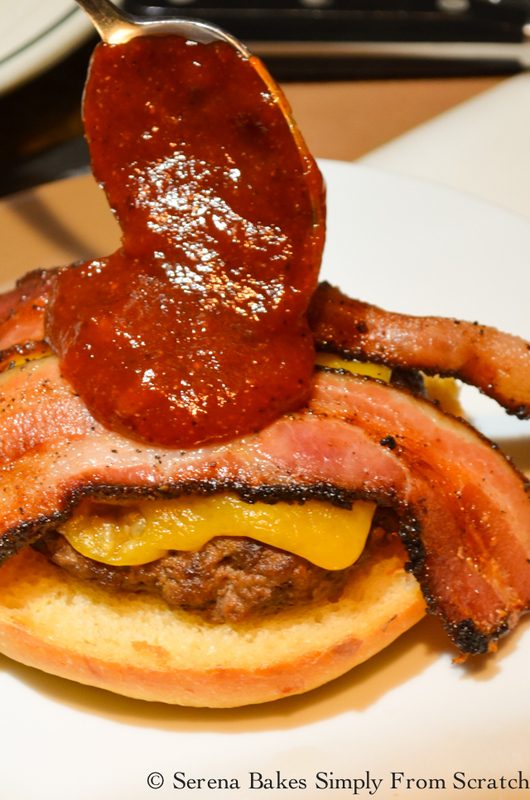 Place hamburger patty on bun, add 2 slices of bacon to each burger, add a generous dollop of whiskey barbecue sauce, and any additional condiments! Enjoy! I just can't resist a good burger and this is one of them. 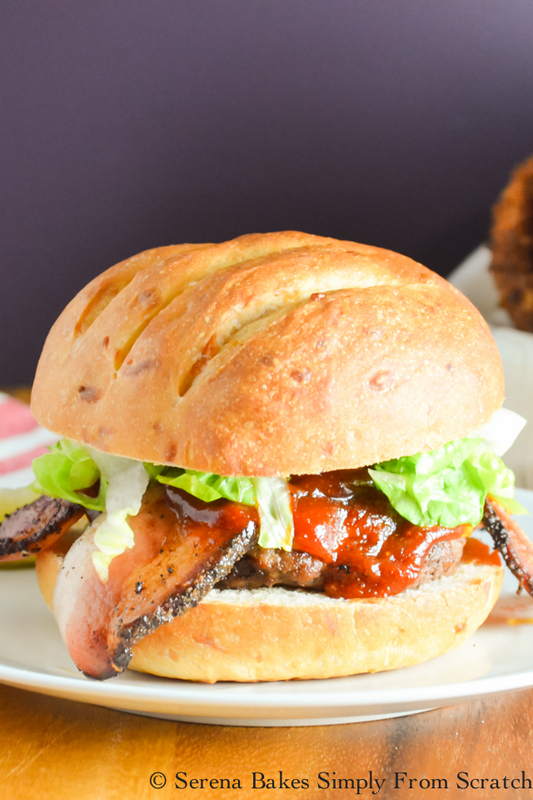 Thanks for sharing the recipe for these amazing whiskey burgers! Oh, my. Your whiskey BBQ sauce pushes these over the top! What a fabulous burger, Serena!!! Love the sound of the whiskey BBQ sauce! This is one gorgeous burger. That sauce looks amazing! How can you go wrong with that? Love, love, love this! Whiskey BBQ sauce sounds delicious! Making burgers in a cast iron skillet is almost better than outside on the grill anyway. Love the flavors of your burger. That's one pretty amazing sandwich! I love how you made the sauce. It looks and sounds delish! Wow, that sauce looks amazing!